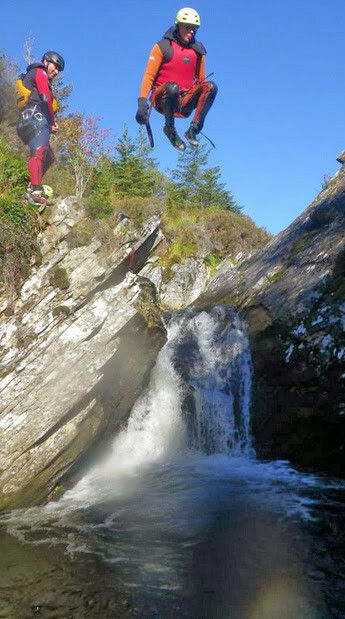 Do you have what it takes to slide down natural water flumes, abseil down through raging waterfalls or take the leap of faith into a deep dark rock pool- Yes? Then find out more.. 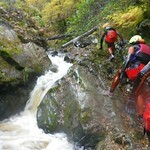 Imagine exploring a steep river system in the midst of the stunning Scottish Highlands. 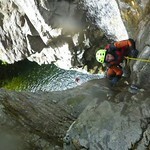 Canyoning involves several skills along with a fair bit of nerve. 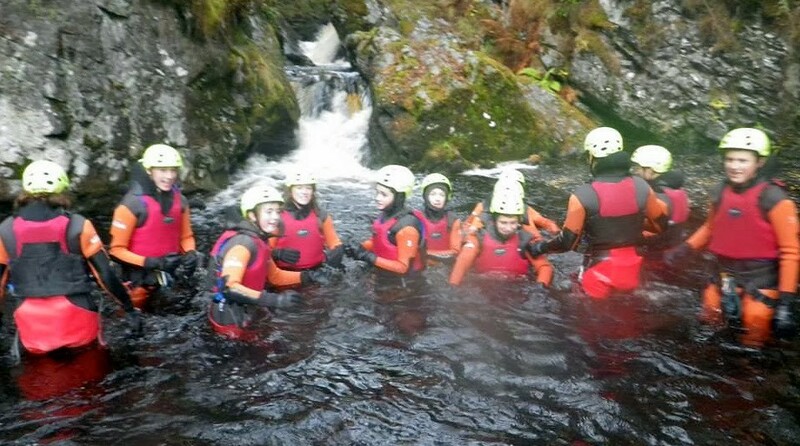 Your group will experience the thrill of sliding down natural water flumes, rope descents of steep waterfalls and the occasional leap of faith into deep dark plunge pools. A basic level of physical fitness is required to fully enjoy the experience. 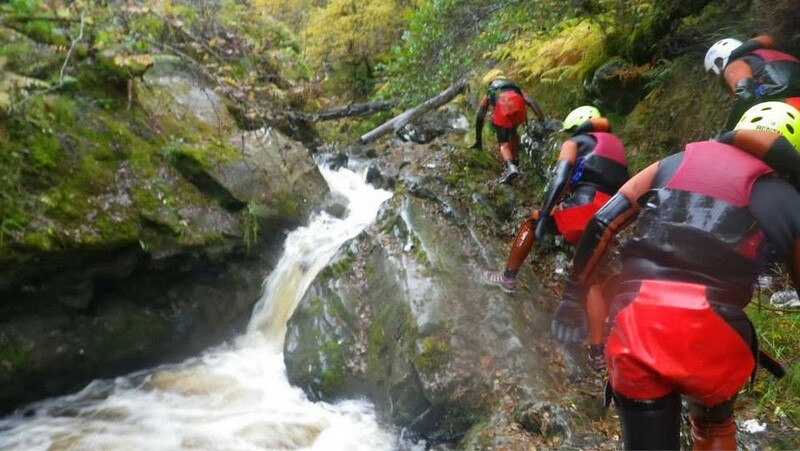 Highly experienced Instructors will be on hand all the time to lead the way and ensure that everyone has an action packed but safe time out. Expect this activity to take the best part of half a day. What do we need to bring? 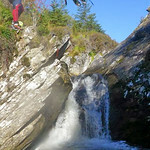 All you will need to bring is a spare pair of trainers and a towel and a sense of humour: We will provide you with a wet suit, wet suit socks, splash suits and all safety equipment. 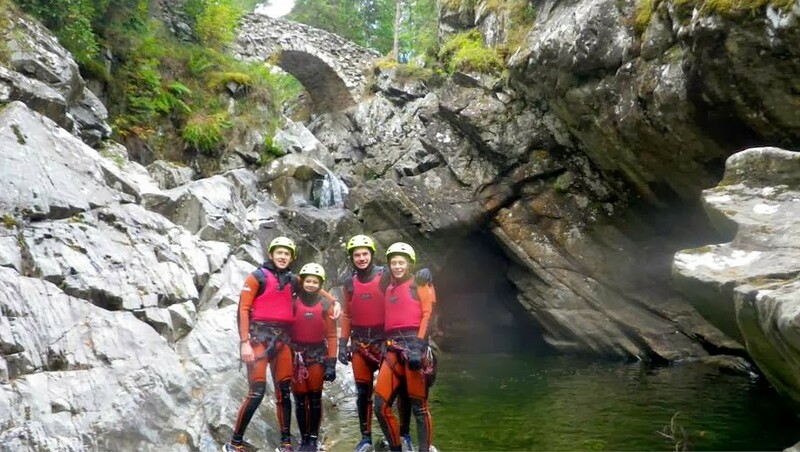 Laggan Canyoning site is 50 min away from our base in Aviemore and the Bruar site, our newest venue is also located 50 min away from Aviemore. 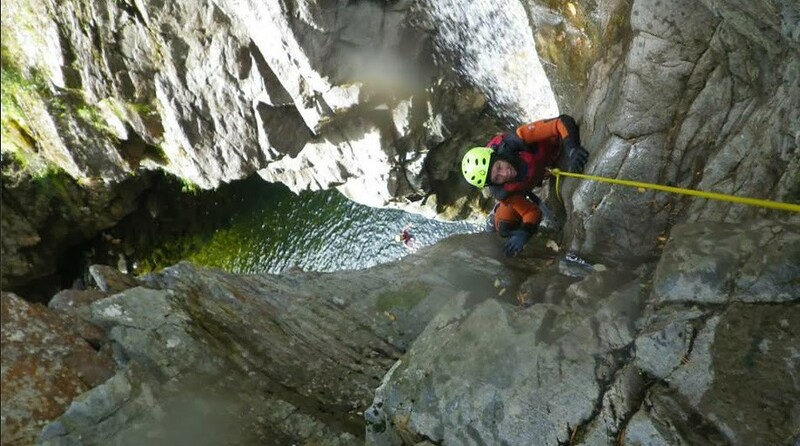 Both of these venues are awesome places to be with mega jumps, slides, abseils and stunning views, once you’ve tried these canyoning trips you’ll be hooked for life on Canyoning. 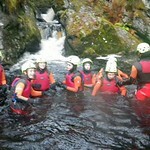 These trips are suited to Stag groups, Hen groups, older family groups, military groups. Check Rates, Save or Enquire! Save this for later, check what the price is for your dates or check availability. 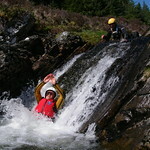 Canyoning is one of our most popular days out from Aviemore and surrounding area. 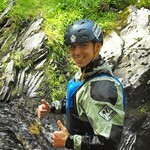 A fantastic experience with water chutes and a high speed slide down. 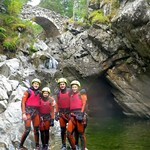 2-3hrs of Gorge Walking near Aviemore. 15 mins drive from our centre. Includes full briefing and kitting out in a 5mm full-body wetsuit. We are here to help you plan something special and memorable. If you want to ask us something, you go ahead and we will get back to you ASAP.